What is the easiest way for an intruder to get through to the data? Well, he might be interested in stealing your password, as this is the key to your files, personal data and everything you do on the web. Thus the main question you want to ask yourself is: are my passwords stored properly and securely and who can access them? Do I put it on a post-it note under my keyboard or do I make a plain text file with all the keys to my kingdom? 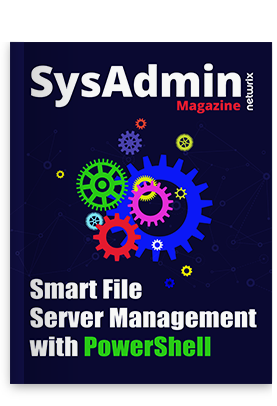 If you don’t know much more than this about keeping your password out of reach or if your employees and colleagues violate the common sense of security, this issue of “SysAdmin Magazine” will do you lots of good. The sixth issue is full of technical tips, as well as overviews by our top contributors giving advice on the best ways to keep your data safe by implementing a good password management policy. No more rookie mistakes and inefficient password policies: all tips in one issue!